Mobile phones today are believed to be a portable office to many users because of its enhanced features and apps that is being continuously built and developed. Mobile phone users are increasing day by day, which has simultaneously increased the demand for app development. When it comes to application development, mainly the two big technology clash with each other, i.e. Android and iOS. There is an overwhelming acceptance for Android apps over other platforms due to the large number of android mobile phone users that cater to every segment of the population. The Open Source nature of Android app development platform is not restricted to just an Android market, that means it is accessible to any mobile phone manufacturer. The software development kit (SDK) architecture is an open source which is available for developers to directly interact with the community for any expansions or changes in the future in mobile app development. Since android app development is an open source, thus, integration is easy with the help of flexible tools. The developer can integrate mobile application on the Android platform according to demands and requirement of the business. Android app development gives an added advantage to the developer, to test and use application on multiple devices without additional costs. This is possible through SDK tool. Also one can install app on the device directly, or from the command line. Best android app development company is preferred for android app development because of its huge market share. Google offers a wide selection of marketplaces to your apps where the target sector can find out about the application. Also launching an app is much simpler as compared to other platforms. Just register yourself as a developer and submit APK file; and its done. 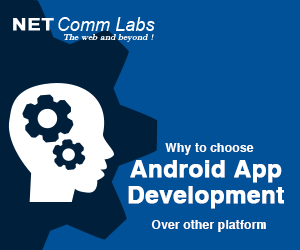 An open platform like Android is always preferred because any programmer can work on it, irrespective of technical expertise.